I bet you'd never thought you'd see me rocking a vivid purple lip? Not exactly a LLYMLRS trademark now is it! But for some reason I've been looking at it longingly all week and thought I might as well at least give it a wear. Thus a new category on my blog has been born. Wildcard. I tend to play it safe with the things I try out on this blog because I know what I like at the end of the day. I turn down things I know I personally won't like because I don't like to waste products. But I've decided it's time to give things a go that are a bit out of my comfort zone! Let's see how it all pans out! 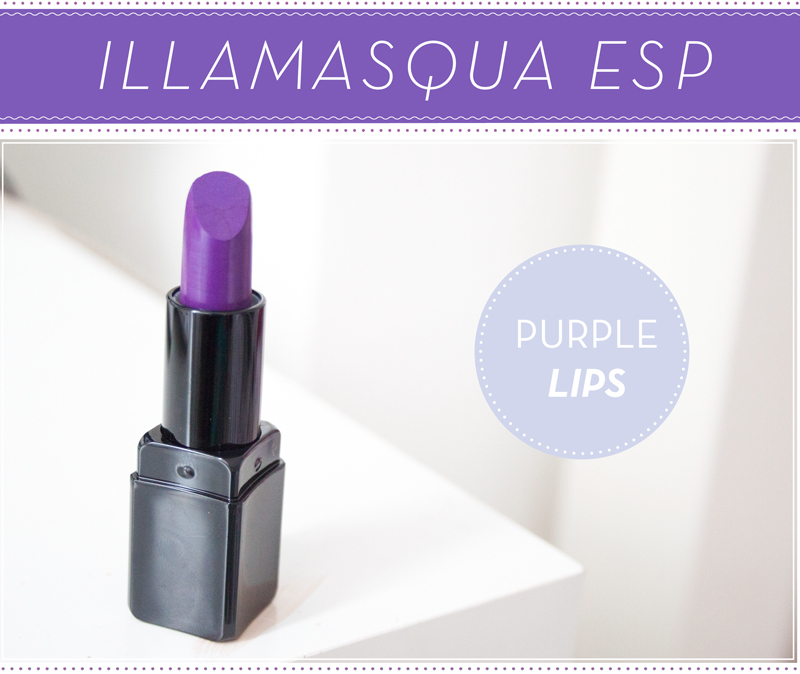 Illamasqua ESP is a bright matte violet lipstick which is unlike anything I've ever seen before. 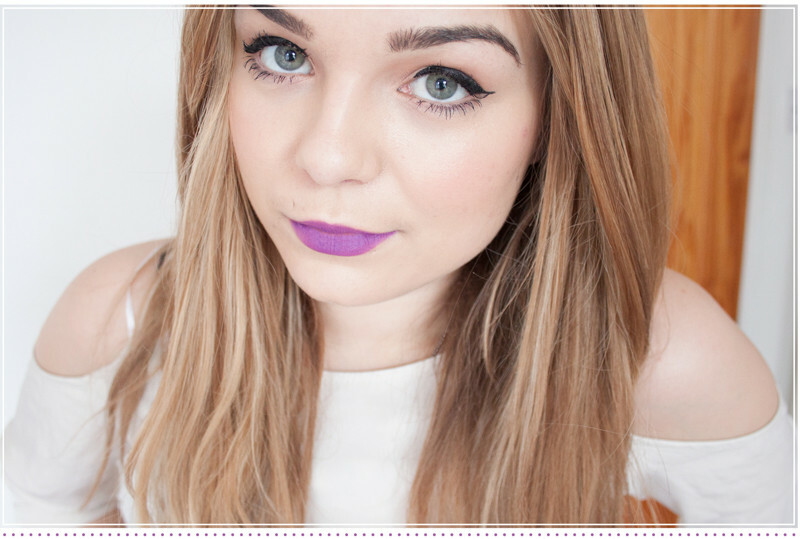 Zoe always tells me about how much she loves Illamasqua Kontrol and how awesome purple lips are but lets face it. I'm hellla girly when it comes to makeup. I'm all about the natural eyes, slick flick of liner and a peachy pink lip. But all in the name of giving it a go, here is me in a purple lip. Makeup is all about experimentation right? 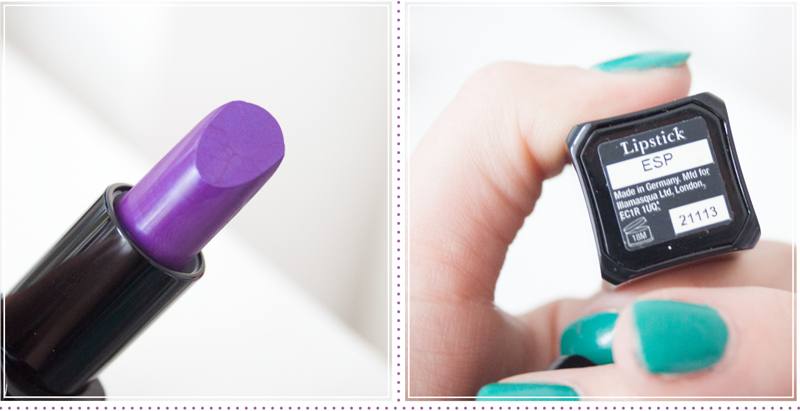 The colour itself is absolutely stunning, a bright purple. The formula is a very old fashioned chalky matte, very similar to another Illamasqua lipstick I recently reviewed. It's quite stiff if I'm being honest but I quite like matte formulas like this. You could probably get away with just patting it on rather than applying straight from the bullet. A gloss on top would also probably make this a little bit easier to wear too. I like the colour on my skintone and it does contrast well with my eyes. While I think it's something I could probably pull off in theory, I cant see it being something I'll be wearing all that often. In a strange way Illamasqua ESP is werable but I can tell you now that it's not going to be it be something that everyone is going to love. Hats off to Illamasqua for always being creative and innovative with their collections. Illamasqua Paranormal is on counters now.